Sometimes approaching an organizational problem from a whole new or different perspective is all you need to hit the right solution. This helps you come up with a solution that addresses every possible loophole/aspects of the issue. Nailing down the perspectives and viewpoints is however a daunting task. This is when a handy tool like the Reframing Matrix comes to your rescue. This is a simple problem solving technique that helps you project a 360 degree view of the problem and initiates a healthy brainstorming session to come up with that unique solution. The Reframing Matrix was developed by Michael Morgan and was first published in his book “Creating Workforce Innovation”. The underlying idea for this tool is that different people (teams in an organization) approach the same problem from different perspectives. Collating them all in a single tool not only presents an all-round view of the problem but also helps every team to look at the problem from the perspective of other key stakeholders. 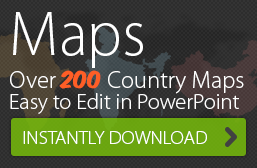 Browse through this wide range of PowerPoint Matrix Diagrams on our e-store. Pick one now to create your own Reframing Matrix. 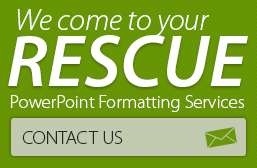 Contact our PowerPoint Formatting Services team if you need any further customization. Problem solving has never been this easy! Here are some examples of how a Reframing Matrix can be used to approach a problem. The 4 P’s approach has been used here to decide the perspectives of the problem.